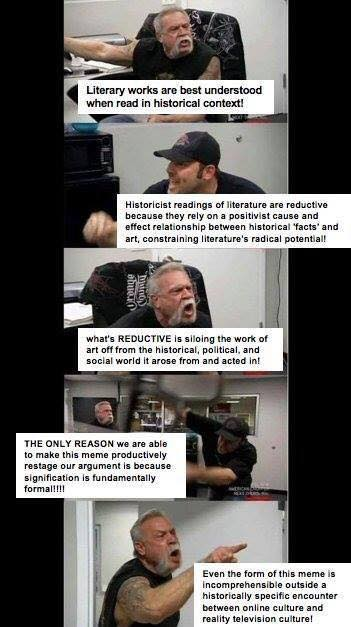 Re the meme, I&apos;m not sure I need context for two white guys arguing over a thing that only white men could think needs to be argued about. The past always informs the present, but cannot and should not supersede it because it is by definition past. @DialMforMara @PaladinQuinn aside: i think what i've concluded with "Baby, It's Cold Outside" is that even if we take the past into account does that mean its good to play on public radio consistently every year? If something becomes "Timeless" shouldn't it be judged as we hear it without the context of history, and if it is rooted in its time should we be broadcasting it over and over every year since the context is rapidly lost each passing year.